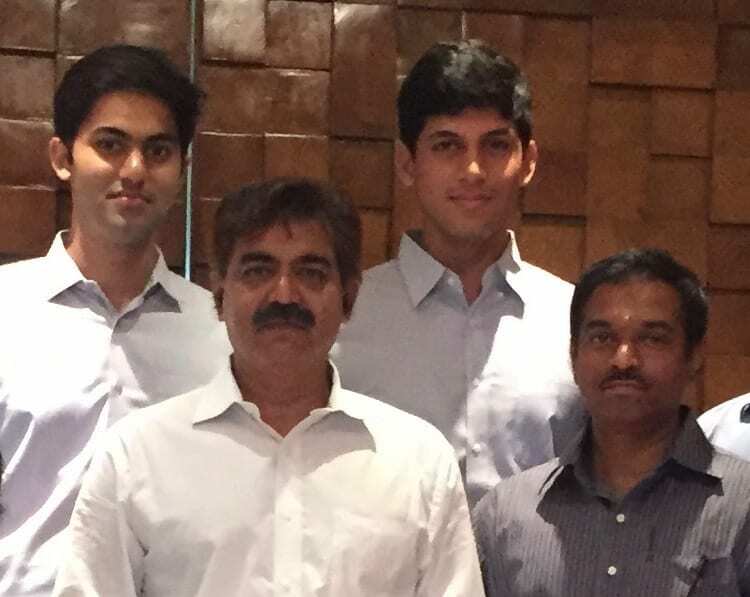 Founded in 2015, by brothers, Rajiv and Anirudh Reddy, Einsite (officially registered as Invento, Inc.) is a California-based Internet-of-things (IoT) startup for the construction and mining industry with a presence in Hyderabad. The newborn startup has recently raised seed investment from KPCB Edge, the seed stage investment arm of top Silicon Valley VC, Kleiner Perkins Caufield Byers (KPCB). KPCB is one of the Valley’s most prolific and successful investors, having funded technology majors like Google, Uber, Twitter, Amazon, Nest and Snapchat. Having spent a lot of time on the field in various construction and mining projects, Rajiv (Co-Founder) believes that both the industries are in dire need for innovation and technology. With this belief, he aims to make the traditional construction industry more accountable and efficient with Einsite’s product. Rajiv stated, “Innovation in this space is long overdue, and what we’re working on can revolutionise how construction projects are executed. ”This core concept of the product is based on industrial internet or IoT as it connects every machine and piece of equipment on a project site to the internet, and makes the data useful. Furthermore, Anirudh’s time at Stanford has convinced him that every major industry, and infrastructure in particular, will soon be revolutionised by technology. In fact, Anirudh aims to be the first to provide market-ready, end-to-end IoT products for the construction industry with Einsite. Anirudh (Co-Founder and CEO) is a graduate of Stanford University, with an experience of working at the Project Controls Department of global construction giant Bechtel Corp, and currently runs the day-to-day operations at Einsite. On the other hand, Rajiv (Co-Founder) is a graduate of University of Illinois (UIUC), and has worked with the Singaporean power and utilities company, Sembcorp, and is currently the VP of Operations at Indian construction major, Gayatri Projects, where he focuses on the implementation of highway and mining projects. Even though, the company is currently developing and testing the product in Hyderabad, it has global aspirations. Initially, they plan to target Middle east, but they also see a lot of potential across Asia and Latin America, where contractors face problems in project management and execution. The company hopes to perfect its product by the end of the year and sign on its first overseas customer in early 2017. To speed up the process of product development, the company is open to aggressively hiring a new team of members across the board, covering everything from hardware and firmware integration, to front-end software and data analytics. Einsite has taken a small convertible note from KPCB Edge, but expects to bring on a few other seed funds before it completes its product development. Also Read Can Artificial Intelligence Bust Twitter’s Spam Bot Problem?